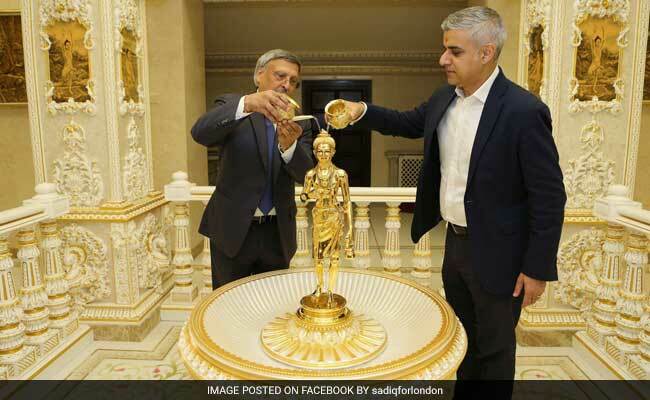 Pictures of London’s first Muslim mayor, Sadiq Khan visiting city’s famous Shri Swaminarayan temple in Neasden, a few days before he was elected, have gone viral. At the temple, Khan interacted with people and also participated in some of the rituals. In one of the pictures, a Hindu priest is seen tying a string around his wrist. 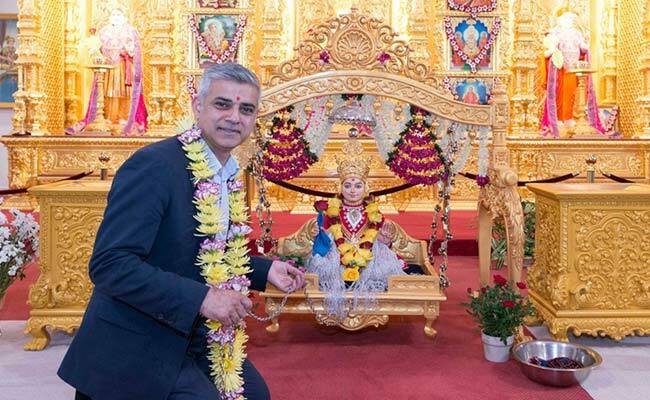 “Shri Swaminarayan Mandir in Neasden is one of my favourite places in London,” he had said in a post on Facebook dated May 3, four days ahead of being elected with a thumping majority. “As Mayor, I will stand up for London’s Indian community, and strengthen London’s friendship with India. I look forward to leading a trade delegation to India at the earliest opportunity,” his post read. The son of a Pakistani immigrant bus driver and a seamstress, Khan defeated Conservative candidate Zac Goldsmith, the son of a billionaire financier, by a record margin to secure the biggest individual mandate in British political history on May 7. “My life story will be familiar to many Londoners of Indian origin. My parents moved here to build a better life for their family in the 1970’s. They instilled a real work ethic in us kids, and huge respect for education, entrepreneurship and community,” Khan had said in the post. The 45-year-old, a former human rights lawyer, and an opposition Labour lawmaker was swept into City Hall on 57 percent of the vote, becoming the first Muslim mayor of a Western capital in the process. “I look forward to my next visit to Shri Swaminarayan Mandir, hopefully, as Mayor of London,” he added.